In the pharmaceutical industry anti-counterfeiting measures are essential. One of the big challenges for pharmaceutical companies is that requirements and regulations for secure product tracking differ from country to country. PPS supplies Laetus Track & Trace solutions offering both basic standard solutions as well as flexible solutions customized to individual needs and requirements. Please contact PPS for solutions for other industries. 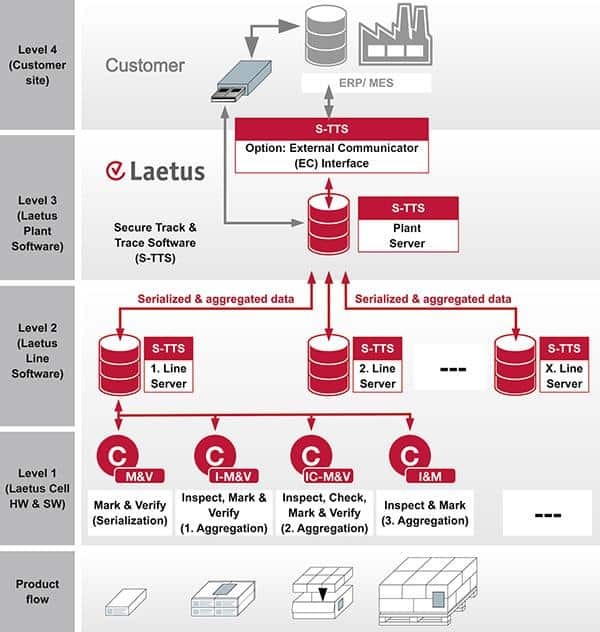 Laetus provides Secure Track & Trace Solution (S-TTS), which ensures traceability and transparency, counterfeit protection and control throughout the entire supply chain. Laetus also offers three different modular control systems (ARGUS, INSPECT and POLYPHEM) for identification, inspection and quality control through reading and scanning of text and 1 and 2-D codes as well as product control. The Falsified Medicines Directive (FMD) was applied by the EU on 2 January 2013. It includes the Commission Delegated Regulation (EU) 2016/161, which states the details of the safety features of how authenticity of medicinal products for human use should be verified, and by whom, and will apply as of 9 February 2019. This means that the packaging of a medicinal product must include a unique identifier in the shape of a two-dimensional barcode as well as an anti-tampering device to verify product has not been altered. 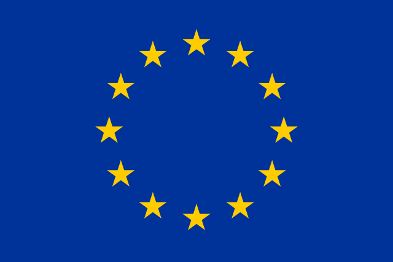 For more information visit the European Commission. With a Laetus Track & Trace solution the product is continuously monitored through the entire value chain to protect the drug from counterfeiting and tampering. With serialization and an ePedigree (electronic document providing data about the origin and history of the drug) the authenticity of the drug is ensured and the product can be identified at any point. 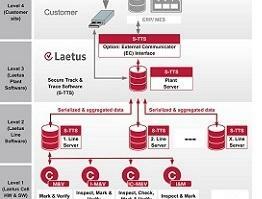 All Laetus serialization and Track & Trace systems meet the EU FMD regulations. 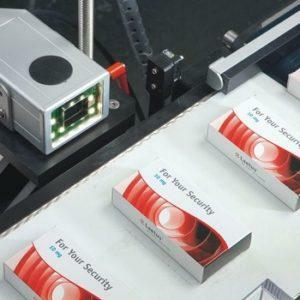 Simple coding and serialization of folding boxes can be performed with the Laetus pack handling system MV-50 to go. It is designed to fit with a wide range of marking systems. The MV-50 is a basic solution complying with all regulations, but can also be embedded in a customized solution or in the modular S-TTS system. User-friendly operation with one panel controlling all modules. Flexible integration into existing lines. For more detailed information about the MV-50-to-go and all its advantages, please view this product sheet. The Secure Track & Trace Software (S-TTS) complies with all international product traceability regulations. The software architecture modularity ensures maximum flexibility and long-term investment security. The Secure Track & Trace Software is easy to customize for compliance with country specific regulations and requirements. Track and trace is ensured at any time through the entire value chain. 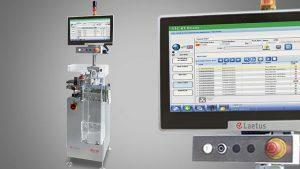 S-TTS can be built into existing packaging lines or work as a standalone unit. 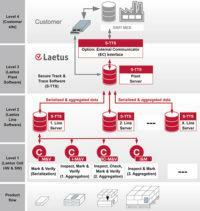 Laetus offers training in their solutions through their center of excellence, the Track & Trace Academy. Training is offered as individual courses, seminars or workshops and cover topics from general overview of Track & Trace to training courses in specific solutions. Please contact PPS or visit Laetus Track & Trace Academy for more info. For serialization and Track & Trace for other industries than pharma, please contact PPS directly for a discussion about available solutions. For more detailed information about the MV-50 to go and all its advantages, please view this product sheet. 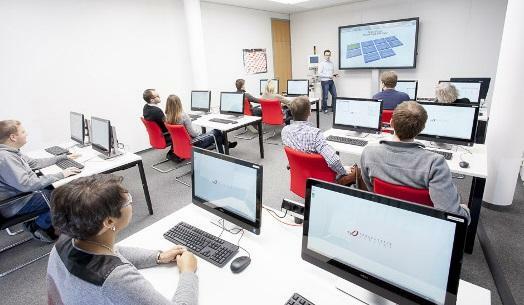 Laetus offers training in their solutions through their center of excellence, the Track & Trace Academy. Training is offered as individual courses, seminars or workshops and cover topics from general overview of Track & Trace to training courses in specific solutions. Please contact PPS or visit Laetus Track & Trace Academy for more info.